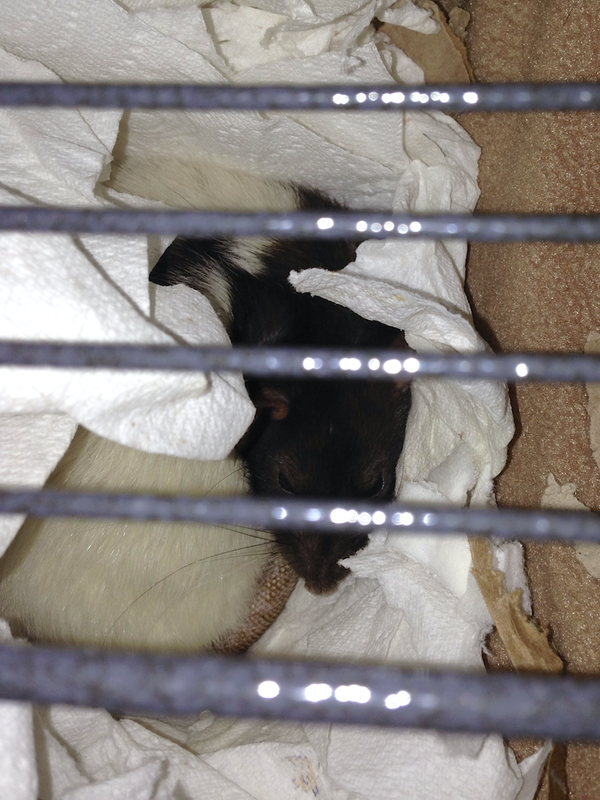 Every now and again one or more of the ratties goes into nesting overdrive. 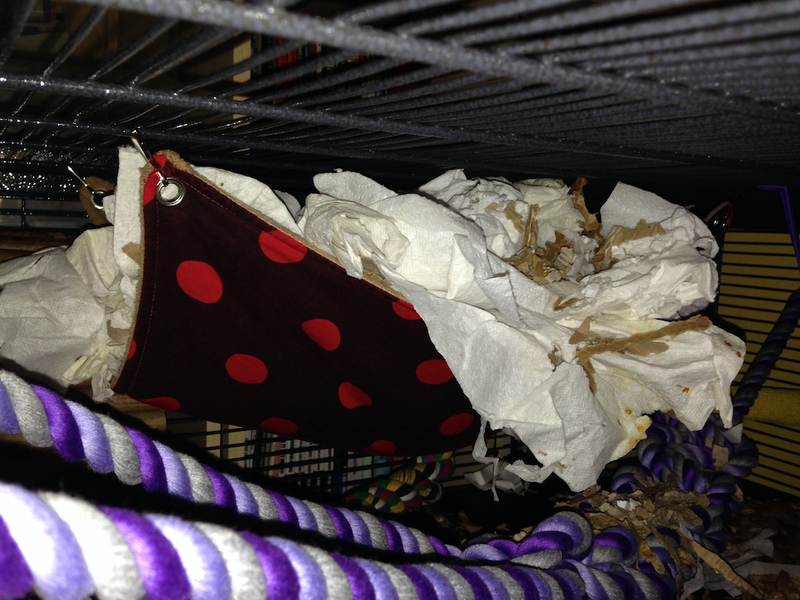 This goes way beyond the usual lining of the sputnik with cardboard and paper for comfort, this involves carrying as much kitchen roll, shredded paper and cardboard substrate into the designated nesting area as possible. This week they have decided that the top hammock would be improved by being stuffed with as much paper as they could carry, with a couple of handfuls of Finacard to fill in the gaps. Most times I’ve checked, it has been an empty nest. It was looking less like nesting and more like they were trying to get rid of the paper by shoving it in the most out-of-the-way place in the cage — they even took the paper out of their main sleeping spot, which is looking really bare now. When I looked in on them earlier though, River was curled up in the hammock, unimpressed with being disturbed for photos.